Rudraksha, popularly known as the Utrasum Bead Tree, is botanically known as Elaeocarpus/Elaeocarpus Ganitrus Roxb. It's medicinal and divine properties have been known from times immemorial. It is said that only one who has the divine blessings of Lord Shiva (The destroyer in the Trinity of Gods) gets the opportunity of wearing this divine bead. 'Rudraksha' has its etymological origin in the Sanskrit words, 'Rudra' and 'aksha'. 'Rudra' is Lord Shiva, and 'aksha' means teardrop. Mythological tales have it that the Rudraksha plant was born out of Lord Shiva's tear drops. Ancient scriptures, such as 'Shiva Purana', 'Padma Purana' and 'Srimad Bhagavad' mention the wonder power of the Rudraksha. For thousands of years, they have adorned the bodies of sages and saints leading a fearless life in far-flung frontiers of the Himalayas and the Himalayan Kingdom seeking enlightenment and liberation. Rudrakshas are classified into number of beads (Mukhis). But broadly, they are classified into 21 “mukhis” – the clefts and furrows – on the surface. Each bead has its impact and effect and vital from astrological viewpoint. It is also believed that Rudrakshas of different Mukhis are meant to please different planets. One Mukhi Rudraksha is considered as the ultimate blessing of Lord Shiva himself and is therefore supposed to be the most auspicious bead amongst all the Rudraksha beads. It removes all types of sins committed by a person, fulfills all desires and brings Prosperity, Luck, Fortune and bestows Worldly Pleasures as well as Salvation (Nirvana) to its wearer. A person wearing 1 Mukhi Rudraksha enjoys all the worldly pleasures yet remains detached from them. This is the most sought after rudraksha also known as " Divine Bead ". A round one mukhi rudraksha is extremely rare and therefore the "1 Mukhi Rudraksha" is normally referred as a Kaju Shaped one also known as "Half Moon Shaped One Mukhi Rudraksha". Blessings of Goddess Maha Lakshmi shower on the house where a One Mukhi Rudraksha is worshipped. Lord Shiva himself is pleased with the wearer of this Rudraksha and any obstacles in his path are removed thereby enabling him to lead a Rich and Powerful Life. A two Mukhi Rudraksha has two natural lines or facets on its surface. The ruling deity of this Rudraksha is Lord “Ardh Nareeshwar“, a combined image of Lord Shiva and Goddess Parvati. Therefore, it is also known as the UNITY Rudraksha as it brings about unity for its wearer. 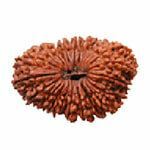 This Rudraksha helps in harmonizing relations between two individuals (Husband-Wife, Father-Son and Friends etc.) thereby making happier and lasting relations. A 2 mukhi Rudraksha frees a person from even the sin of a cow slaughter. It gives a blessing of happy family, improved relationships with all people around as well as getting a suitable match. A three Mukhi Rudraksha has three natural lines or Mukhas on its surface. The ruling deity of this Rudraksha is Lord Agni (Fire). This Rudraksha destroys all the sins done by a person in his past life and makes him pure on a spiritual level like Agni does with all those who come in its contact. 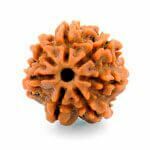 This Rudraksha should also be worn to get rid of Inferiority Complex as well as from Fear of unknown. It is helpful for those people also who experience self hatred or mental stress and it makes a person energetic via freeing him from laziness. As per Ancient Vedic Texts, a Three Mukhi Rudraksha is helpful in controlling Blood Pressure, regulation of Menstrual cycle, chronic fever, Depression & Lack of energy. A four Mukhi have four lines (Mukhas) on its surface. The ruling deity of this Rudraksha is Lord Brahma ( One of the Gods of Hindu Trinity ) who is the creator of universe as well as the bestower of knowledge and creativity. 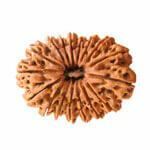 A wearer of this Rudraksha becomes more knowledgeable since his powers of concentration and learning are increased manifold as well as his memory power also increases and therefore he is able to retain whatever knowledge he acquires. 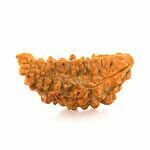 This Rudraksha also positively affects speech of the person so that he is able to use it for his advantage. Students who wear this Rudraksha are able to do better in their studies due to increased memory power and concentration. 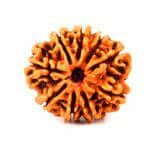 As per Ancient Vedic Texts, this Rudraksha is said to be useful in diseases of Gall Bladder, Mental ailments, paralysis and diseases of nose. A five Mukhi Rudraksha has got 5 natural lines (mukhas) on its surface. The ruling deity of this Rudraksha is Lord “Kalagni” a form of Lord Shiva. This is a most commonly found Rudraksha & it destroys the “Bad Karmas” of the present life, thereby making the wearer pure and his mind become peaceful and calm. 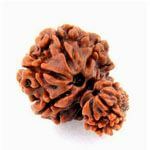 This Rudraksha removes sins of various kinds which have been committed by a person in the present life. 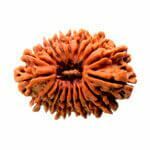 This Rudraksha has been highly regarded in Ancient Texts and Scripts and it has been given the status of " Dev Guru Rudraksha " because of the fact that its ruling planet is Jupiter who is the Guru of Gods. 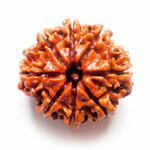 This Rudraksha also protects a person from Accidental Deaths and it is also very important in any kind of Saadhna or Meditation. 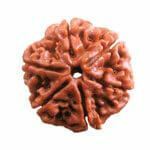 A five mukhi Rudraksha also gives a person Name, Fame and Mental Peace. The ruling deity of seven Mukhi Rudraksha is Goddess Maha Lakshmi (Goddess of wealth) and the ruling planet is Saturn. Hence, the wearer of this Rudraksha gets wealth and prosperity by the blessings of Goddess Maha Lakshmi & he is also relieved of malefic or adverse affects of planet Saturn if the same is badly placed in one's horoscope or if the wearer is under the major or minor affliction of Saturn known as Saturn Sade Sati and Small Panoti respectively. This Rudraksha is also related to the 7 sages ( Saptarshi ) and the wearer is bestowed with good Health and Wealth by their blessings. 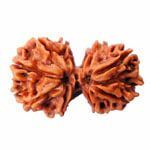 This Rudraksha is also very good for getting Success in Business and Increased profits if it is used in combination with 8 mukhi Rudraksha. 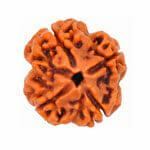 This Rudraksha is also said to help in regaining block funds as well as for attracting wealth and therefore it is said to be extremely good for businessmen as well as for those also who are in a Job and want Success, Happiness, Promotion and Wealth. 8 Mukhi Rudraksha has eight natural lines or Mukhas on its surface. The ruling deity of this Rudraksha is Lord Ganesha who is also known as "Vighna Harta" i.e. the remover of obstacles. Hence, the wearer of this Rudraksha is able to get Success in every venture by the blessings of Lord Ganesha. One of the most important effect of this Rudraksha is that it removes obstacles so that the wearer is able to achieve Success easily thereby leading to a happier life. 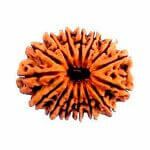 This Rudraksha is said to be related to Lord Kartikeya as well who is the Elder Son of Lord Shiva. This Rudraksha also increases the stability of mind so that the wearer is able to remain more peaceful and calm. Any person who is desirous of getting Name, Fame and Leadership qualities should also wear this Rudraksha. 10 mukhi Rudraksha has ten natural lines on its surface. 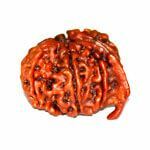 Ten Mukhi Rudraksha represents Lord Vishnu who is the preserver of entire universe. It helps the wearer to overcome difficult times and ensures that the wearer & his family are protected by the blessings of Lord Vishnu. It also represents Gods of all the ten directions whose blessings are also showered on its wearer. All sins done by the ten human organs are destroyed by wearing this rudraksha. This Rudraksha is also blessed by Yamraj who is the God of Death and hence the wearer is saved from untimely death. It is also blessed by Das Maha Vidya ( 10 incarnations ). 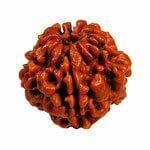 This Rudraksha also protects a person from any kind of Black magic, Evil Eye etc. since it controls and eliminates all kinds of Evil beings. 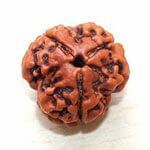 This Rudraksha pacifies all the 9 planets and it is also a very good tool to remove Vastu faults of a place. Hence, the wearer of this Rudraksha is blessed by several Gods as well as he is protected from the negative effects of all the 9 planets, Black Magic and Evil Eye. 11 mukhi Rudraksha has eleven natural lines on its surface. Eleven Mukhi Rudraksha is represented by Eleventh Rudra i.e. Lord Hanuman who is the Lord of Courage, Bravery and Adventure. Therefore its wearer gets a feeling of right actions, courage and he fears nothing. If a person wished to donate something for a good cause but could not do that due to any reason, then his wish is considered completed by merely wearing this Rudraksha. This Rudraksha is also blessed by Lord Indra and therefore the wearer is bestowed with all the Fortunes and Luxuries of life. 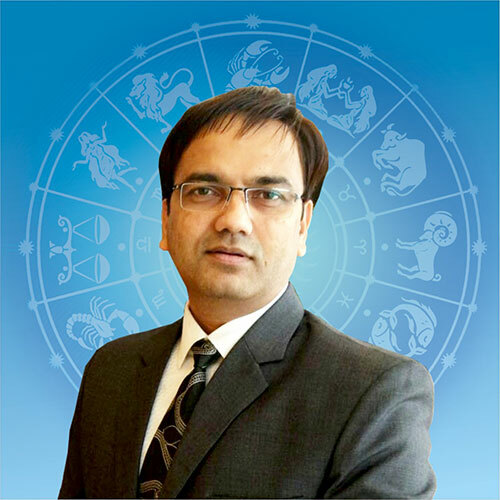 He becomes Lucky and is able to control all his physical senses which makes him extremely courageous and fearless as well as bestows good health and protection from untimely death. Hence, this Rudraksha is supposed to be extremely good for meditation purpose. 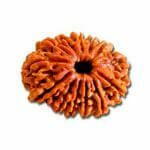 This Rudraksha is extremely good and powerful for the devotees of Lord Shiva. The wearer of this Rudraksha is protected from any kind of Evil Eye or Black Magic since the ruling deity is Lord Hanuman who is destroyer of all kinds of negative energies. 12 mukhi Rudraksha has twelve natural lines on its surface. A twelve Mukhi Rudraksha is ruled by Surya ( Lord Sun ) who creates a powerful Aura around the wearer. If the Planet Sun is Malefic in the wearers horoscope, then its negative effects are also pacified by this Twelve Mukhi Rudraksha. 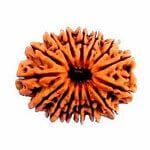 This Rudraksha improves the Administrative capacity of a person and therefore it is very good for Administrators, Businessmen, and Politicians who should wear this Rudraksha for Name, Fame, Wealth and Power. This Rudraksha is said to possess the Brilliance, Luster, Radiance and Strength of Lord Sun and hence, the wearer is bestowed with all these virtues. The wearer also gets protection from diseases, worries, fear of armed people and wild animals. The wearer becomes fearless and trouble free and all his physical and mental sufferings are relieved. Hence, the person is able to acquire Health, Wealth & Happiness. 14 mukhi Rudraksha has fourteen natural lines ( mukhas ) on its surface. This Rudraksha is also known as a Divine Gem ( Dev Mani ). This Rudraksha is considered to have come directly from the eyes of Lord Shiva who himself wears this bead. This Rudraksha activates the Ajna Chakra located between the two Eyebrows thereby giving the wearer an ability to visualize the future so that he is able to make correct decisions. This Rudraksha also represents the 3rd eye of Lord Shiva and hence the wearer is protected from all kinds of Negativity, Negative Energies and Enemies. The wearer of this Rudraksha becomes a favourite of Lord Shiva and he is blessed by both the Shiva and the Shakti. Not only his present becomes better but his future also becomes brighter. This Rudraksha start giving its results very quickly and hence the name Dev Mani. A Fifteen faced Rudraksha has 15 natural lines on its surface. It represents Lord Pashupatinath who is incarnation of Lord Shiva. This incarnation of Lord Shiva is said to control the animal instincts of the wearer thereby making him a better human being. This Rudraksha bead helps the wearer to channelise his thoughts in a right direction and remain focused. 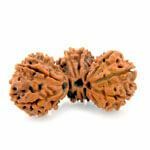 This Rudraksha enhances the Intuitive Power and the Sixth Sense of the Wearer due to which he is able to make right decisions and take steps in right directions in his life. 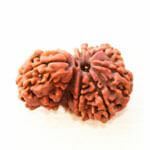 A 15 mukhi Rudraksha has all the virtues and powers of 14 mukhi Rudraksha and hence the wearer is able to achieve very high levels of Economic and Spiritual Progress. A Sixteen Mukhi Rudraksha is called Jai (victory) Rudraksha and the wearer attains victory at all levels. It is said that it helps the wearer to arise victorious in new undertakings, in existing tasks & undertakings & in other spheres of life. It is a very rare Rudraksha. It protects the wearer as well as the house in which it is kept. It helps the entire family to attain victory in all directions. An Eighteen faced Rudraksha represents Mother Earth. The wearer of this Rudraksha always remains happy and healthy. It is a very rare Rudraksha. 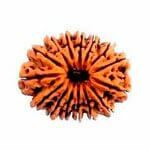 This Rudraksha is very beneficial for all those people who are connected to any kind of trade or any other form of work related to mother earth. For instance dealers of stones, iron ore, gems, property dealers, builders, architects, contractors, diamond merchants, agriculturists, farmers or any other product or work relating to mother earth. 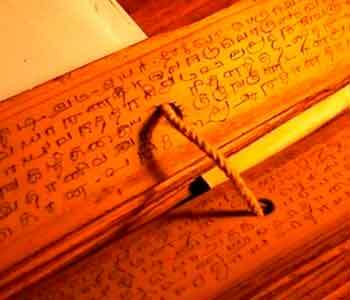 As per ancient vedic texts, it is said to also be very beneficial for expecting mothers. A Rudraksha of Nineteen face is Narayan Roopam. Worshiping it or wearing gives victory of Truth and Knowledge over ignorance and demon activity. The possessor is bestowed with all worldly pleasures. There is no scarcity in their life. 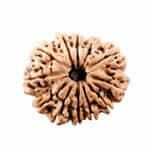 The use of this Rudraksha is said to help in Diseases like blood disorder, spinal disorder as per the ancient vedic texts. A 19 mukhi Rudraksha fulfils all materialistic desires of the wearer. It provides Luxuries in Life, Success, Wealth and Mental peace to the wearer. It is very effective for Businessmen as it sharpens the Business Acumen. The ruling deity of a Twenty Mukhi Rudraksha is Lord Brahma. However the powers of Holy Trinity ( Brahma, Vishnu and Mahesh ) as well as those of Eight Digpals (Gods of All the Eight Directions - Agni, Indra, Varun, Soam, Vishnu, Vrahaspati, Vayu & Kuber) and Nine Planets are also vested in this Rudraksha. 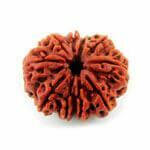 The wearer of this Rudraksha gets enhanced Knowledge and Mental Peace. A Spiritual Progress as well as an improved Eyesight are also bestowed to the wearer of this Rudraksha as per Ancient Vedic Texts. It is also said to nullify the effect of snake bite if it is worn or held in hands. This beads also gives protection against all kinds of Evil Forces. A Twenty One Mukhi Rudraksha represents Lord Kuber - the God of wealth and hence the wearer of this rudraksha is blessed by Lord Kuber, and consequently Wealth and Health are never a problem in the entire family of a person who wears this Rudraksha. The wearer of this Rudraksha is blessed with vast Property, Worldly Comforts and Pleasures and all his material desires are fulfilled. Even if a poor person gets lucky to wear this Rudraksha and becomes Rich. Only those people are able to get and wear this rudraksha who are extremely Lucky. As per Ancient Vedic Texts, 21 mukhi Rudraksha is said to cure the Diseases of Reproductive organs. Two naturally joined Rudraksha called Gauri Shankar is regarded as the Unified form of Shiva and Parvati. It makes the relationship between the wearer and his near and dear ones very cordial, understanding and happy. 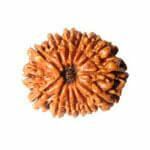 This Rudraksha is best for harmony, happiness and peace in the family.It helps to improve relationships. It is regarded as the Rudraksha for peace and comfort in the family. If a person worships Gauri Shankar at his/her puja place, the pain and suffering and other earthly obstacles are destroyed and the peace and pleasure of the family are enhanced. Those desirous of finding the right life partner or couples desiring a child may wear this Rudraksha for good results. These are three naturally joined rudrakshas and are a rare phenomenon. This bead is also known as Gauri Paath or Brahma- vishnu-Mahesh ( The trinity of God). It is very powerful to give universal appeal and empowers the wearer with great achievement and confidence.An INDRA MALA ( 1 TO 21 MUKHI RUDRAKSHA) is not considered to be complete without this rudraksha. Because of its natural form, this rudraksha is also very rare and only fortunate and chosen one by Almighty can possess it. Garbh gauri is a small form of Gauri Shankar where one bead is smaller than the other therefore it is recommended for those women who are not able to conceive or those who suffer defects in their conception, repeated miscarriages or any dysfunction related to child birth. It can be worn around the neck. It also helps in improving mother child relationship. This rudraksha is a form of Goddess Mother Parvati and her son, Lord Ganesha. The one who wears this rudraksha is blessed by both Ganesha and Paravati. It is a rare rudraksha, which has two beads naturally joined together where one bead had just 1 mukhi and the other bead has multiple mukhis. The Ganesh Rudraksha is great for removing obstacles - external and internal. It removes sloth, lethargy, procrastination & ignorance from the individual. It has a natural formation of a trunk on the bead making the seed appear as Lord Ganesh himself. This bead is good for protection from vices and it opens up new opportunities to its wearers. Generally for students who are aiming for higher study. Protects from vices and opens up new opportunities. The central hole of the Rudraksha should be natural –when a Rudraksha is kept in water, a little heat is discharged after a few hours and the color of water changes-rudraksha sinks when put in water. As rudraksha ages it losses weight. 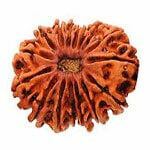 Only a genuine rudraksha must be selected as it has great medicinal and spiritual value. Now there are scientific laboratories where its genuineness can be tested. Rudrakshas need to be purified and energized before they are worn. Rudraksha unlike other forms of healing objects gives effect only if sanctified using beej mantras or panchakshar mantra " NamahShivaya".